If you are looking for a medical weight-loss program that uses FDA approved appetite suppressant medications weight loss pills and diet pills all under the supervision of a medical physician we are the place for you. 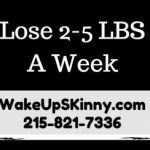 For more information on our weight loss program I invite you to call us and schedule your free weight loss consultation at 215-821-7336 and Lisa will be happy to schedule your free weight loss consultation. We believe that our weight loss program is successful because in addition to giving you the FDA approved weight loss pills we instruct you on how to eat properly. It’s our philosophy that food is life and that starvation diets do not work. So in our program we show you how to eat real food and give you recipes and meal plans that are delicious. So with that being said here are some fantastic recipes. Today I’m going to give you the recipes for a honey banana smoothie, low-carb butterscotch crispy bars ( a low-carb version of Butterfingers), a cocoa nutty sweet treat recipe and even a low carbohydrate recipe for good old-fashioned redfish. 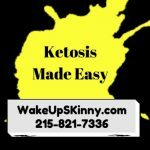 I hope that you enjoy this recipes and if you need help with losing weight or someone you know needs help with losing weight please give them our number, 215-821-7336 and they can set up a free consultation. Now just combine all of these yummy ingredients into a blender, blend away and enjoy. Start by pre-heating our oven to 350°F and then line a baking sheet with a good-quality parchment paper. After that mix together the coconut oil, the butterscotch extract and the swerve until it looks like small breadcrumbs. Now all that you have to do is spoon it out on top of your parchment paper and spread it nicely into a thin layer. Place it in the oven and allow it to bake for approximately 15 minutes, plus or minus a few minutes. When it’s done just take it out of the oven and set it on the side and let it cool down totally. The more you let it cool the harder the candy will become and just break it into tiny pieces. As the yummy crunchy part is in the oven baking we can now make the nugget. Put your 1/4 cup of swerve, 1/4 cup of natural peanut butter, 1 teaspoon of vanilla extract, 1 teaspoon of Stevia glycerite, 1/4 cup of butter and the cream cheese in a medium-sized bowl ( just make sure that it’s microwavable safe), stir it up a little bit then place it in your microwave for approximately one minute or so. Let it cool down and then mix everything together nicely. Now, just mix the nugget to the crunchy part that you have broken into pieces and mix them until they are combined nicely. Take a 4 x 4 inch glass container and lined with parchment paper and pour this mixture into it. Make sure that you level out the top. Place a saucepan over low heat and add in your coconut oil and when it starts to melt store in your extracts, chocolate, salt and sweeteners until everything is totally melted. When this is melted spread it over top of your nugget mixture and then sent it back in your refrigerator to cool down. When it is ready just cut it into any size of bars that you like. I hope you enjoy these nice tasty snacks as much as I do. This recipe makes eight servings and each of them has approximately 3 grams of carbohydrates, 250 cal about 4 grams of protein. Start by preheating your oven to 350°F and take a baking sheet and spread parchment paper over top. Take a nice sized bowl and mix together your extracts, sweeteners, coconut oil and of course your cocoa powder. Mix it together until it forms into the shape resembling small breadcrumbs. Now, just spread it out over top of your baking sheets and bake it for approximately the 13 – 16 minutes. The cooking time will vary depending upon the intensity of your oven. When it finished baking, allow it to cool down. It will get harder the longer that cools. Be sure that you keep this in an container that is airtight in the refrigerator. I have kept it in the refrigerator up to 2 this table 3 weeks and it was fine. You can use this as a topping for some of the other great recipes I have on the site or you can just eat it by itself. This recipe makes 4 servings and each has approximately 97 cal, 1/2 grams of protein and 1 grams of carbohydrates. Take a microwavable safe cup and mixing your sweetener, gelatin and water and stir it all and so everything’s is totally dissolved. Now all you have to do is put in your microwave for about 35 to 50 seconds, just until it starts to boil. Allow it to cool down a little bit and then pour it into a tray. My younger nieces love gummy worms so my wife found a cute gummy worms tray that we pour this mixture into and make it for them. Now we are ready to set them in the refrigerator and keep them there until they are from. This recipe makes one serving and the total serving has about 20 cal, 6 grams of protein and 0 carbohydrates. So there you have it some awesome delicious recipes that are weight loss patients are able to enjoy, while burning body fat and losing pounds and inches. I hope you enjoy them. 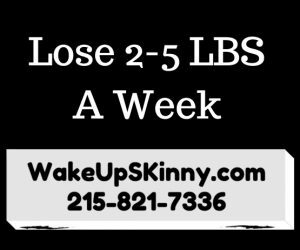 If you are a friend or loved one need help losing weight call us and schedule your free weight loss consultation 215-821-7336. This entry was posted in Diet Doctors in Philadelphia, Medical Weight Loss in Philadelphia PA, Medical Weight Loss Philadelphia, weight loss philadelphia and tagged diet pills Philadelphia, doctors prescribe phentermine Philadelphia, medical weight loss doctors Philadelphia, Medical Weight Loss Philadelphia, phentermine in Philadelphia, philadelphia diet doctors, philadelphia weight loss doctors, vitamin B12 injections Philadelphia, weight loss philadelphia, weight loss pills philadelphia, weight loss programs Philadelphia on February 4, 2017 by Dr. Michael Kenny. Hi everyone and as promised here are a few more low-calorie recipes for this holiday season. Now that winter is finally upon us most of us are craving traditional comfort foods that make us feel good and also warm our tummies. So I am going to give you three recipes today for some of my favorite comfort foods. Of course I’m going to give you the low-calorie versions. Each recipe is going to have approximately 200 cal (plus or minus) for each serving size. If you are new to our practice and would like some more information on our weight loss programs, I invite you to call us at 215-821-7336 and Lisa will be happy to schedule you for your free weight loss consultation. Not only are these recipes delicious comfort foods but are also quick and easy to make. This is a fantastic recipe each serving has about 132 cal, 7 g of protein and 7 g of fiber and 24 g of carbohydrates. This recipe makes approximately 10 servings. Get all of your ingredients together then sauté the garlic in the onion and Olive Oil until it’s very tender. Then add the remaining fresh vegetables and sauté this for about three minutes or so. After that add the rest of the ingredients, cover it and let it simmer until all everything is mixed together and the vegetables are nice and tender. This normally takes about another 25 – 30 minutes. In a nice sized pan sauté your garlic in oil for about 3 minutes. Then add the broth and the tortellini and heat this until it starts to boil. When it finally we starts to boil reduce the heat and let it simmer for approximately 10 minutes. Add your spinach and tomatoes and simmer this for about five minutes more. When you are ready just spoon it out into your bowls and top with the Parmesan cheese. This recipe makes approximately 6 servings and each of them has about 217 cal, 15 g of protein and 24 g of carbohydrates. This is a fantastic recipe it really is one of my favorite comfort food recipes. It’s especially good when it’s cold day outside. First we should cook our pasta like we normally would following the directions on the package it came in. Wait until the last three remaining minutes of the instructed cooking time for the pasta and add the green beans, broccoli, bell pepper, celery and carrots to the pan. When it’s finished cooking remove it from the flame and drain your pasta and the vegetables. Add the black pepper to the pasta and mix everything nicely. And now add the tomatoes, Olive Oil, basil and cheese and mix it and serve. This recipe is enough for 4 people. Each serving has approximately 220 cal, 9 g of protein and 30 g of carbohydrates. I hope you enjoy these recipes. If you, a friend or loved one need help with losing weight invite you to call us and schedule your totally free weight loss consultation. Call us at 215-821-7336 and schedule your free consultation now. This entry was posted in Diet Doctors in Philadelphia, Medical Weight Loss, Medical Weight Loss in Philadelphia PA, Medical Weight Loss Philadelphia, weight loss philadelphia and tagged diet pills Philadelphia, doctors prescribe phentermine Philadelphia, medical, medical weight loss doctors Philadelphia, Medical Weight Loss Philadelphia, phentermine in Philadelphia, philadelphia diet doctors, philadelphia weight loss doctors, vitamin B12 injections Philadelphia, weight loss philadelphia, weight loss pills philadelphia, weight loss programs Philadelphia on December 27, 2016 by Dr. Michael Kenny. Happy holidays everyone! During this holiday season it’s almost impossible not to enjoy the delicious feasts, cakes and desserts with family and friends. So to help you maintain your weight loss during this holiday season I’m going to give you two phenomenal recipes that are low-carb and low in sugar. The recipes are for my favorite Oreo and cream cheesecake and one of my favorite cookie recipes. 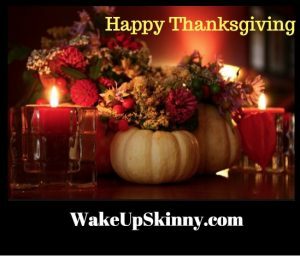 And please remember that In our Philadelphia Medical Weight Loss Program and our Bucks County Medical Weight Loss Program our goal is to have you enjoying lots of good healthy delicious food while you are losing weight and improving your health. 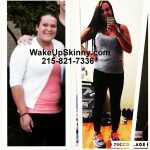 If you are new to our weight loss program and would like more information just call us and schedule your free medical what was consultation at 215-321-7336 and Lisa will set up your free consultation for you. Once again happy holidays and here are those great recipes I told you about. If you need help achieving your weight loss goals I invite you to call us and schedule your free medical weight loss consultation at 215-821-7336. Call now and Lisa will be glad to schedule your free consultation for you. First we should preheat our oven to 325 F. Then in a bowl, stir or blend together the eggs, butter, vanilla extract, swerve and stevia. In another bowl stir together the remaining ingredients until they are mixed nicely. Then combine the ingredients of both bowls and you can add the sugar free chocolate chips and the nuts if you would like to. Mold this into a nice big dough ball. Next grease a cookie sheet and spread the dough out and form your typical biscotti. Next we bake this for about 25 minutes, just until it’s slightly browned. Take it out of the oven and decrease the temperature to 275 F. Allow the biscotti to cool down for about 14 minutes and cut it into strips that are approximately one half inch wide. Then put the individual biscotti on their side onto the cookie sheet and bake them for another 25 – 30 minutes, or for as long as to takes for them to cook to a nice crispness. This recipes makes about 15 biscotti and each has approx 2 grams of carbohydrates. This is a really fantastic recipe. To start just take a 9 inch spring form pan and grease it. Then preheat your oven to 350°F. Next break up your cookies into very tiny crumbs. You can use your hands or just use your food processor to do this. Divide your cookie crumbs into two separate bowls and stir one half into your melted butter. You are going to take this butter and cookie crumb mixture and line the bottom of your springform pan with it. After doing this place the pan in your refrigerator. Next you want to blend together your swerve, whipping cream and cream cheese. Make sure that you use a large bowl for this. When it’s nice and smooth you can add the vanilla, coconut flour and eggs and stir everything until it’s creamy smooth. Then take your springform pan out of the refrigerator and pour half of your cream cheese mixture over top of the crust. Then take the other half of your cookie crumbs and pour that over top and then just pour the rest of the creamy mixture over top of that. Next place this in the oven and let it bake for about an hour or so. You want to bake it for as long as it takes for the center to become very firm. Finally take the cheesecake out of the oven and let it cool down. Personally I like to let it cool down for at least one hour and then you can remove it from the pan. For the best tasting cheesecake I like to leave it in the refrigerator until the next day. This is one of those recipes where there cake will actually taste better the next day. This recipe makes 12 servings each of them having about 3 – 4 grams of carbohydrates. If you need help achieving your weight loss goals I invite you to call us and schedule your free medical weight loss consultation at 215-821-7336. Call now and Lisa will be glad to schedule your free consultation for you. Happy holidays and I hope you enjoy these recipes is much as I do. This entry was posted in Diet Doctors in Bucks County, Diet Doctors in Philadelphia, Medical Weight Loss, Medical Weight Loss in Philadelphia PA, Medical Weight Loss Philadelphia, Weight Loss, weight loss philadelphia and tagged 39.9500° N 75.1667° W, diet pills Philadelphia, doctors prescribe phentermine Philadelphia, medical weight loss bucks county pa, medical weight loss doctors Philadelphia, phentermine in Philadelphia, philadelphia, philadelphia diet doctors, philadelphia weight loss doctors, vitamin B12 injections Philadelphia, weight loss philadelphia, weight loss pills philadelphia, weight loss programs Philadelphia on December 24, 2016 by Dr. Michael Kenny. Hi everyone. It’s early Sunday morning after Thanksgiving and everyone it is still sleeping except for me, Rocky and Jasper (our 2 dogs aka our furry children). So of course what do I do while everyone else is sleeping? I write an article for our blog for our fantastic weight-loss patients. In this article I am going to give you the recipe for a delicious low-carb meatball with an amazing sauce, that my wife made for us this past Thanksgiving for all of us to enjoy. And I am also going to give you a recipe that I made myself for a chocolate peanut butter bar. Start by preheating your oven to 325°F. Then in a very large bowl combine all of the ingredients together and mix everything total it’s totally combined. After you have mixed all of the ingredients together it’s time to make your meatballs. Try to shape them into 1 1/2 inch meatballs and place them on a baking sheet and let them bake for about 45 minutes or 1 hour. Just make sure that they are totally cooked all the way through. Now it’s time to make the sauce while meatballs are baking. Take a nice sized sauce pan and place the butter in there and heat until’s the butter starts to sizzle and you start to see brown flecks. Just make sure that you are stirring this because you do not want the butter to burn. Decrease the heat to a low setting and mix in the cream cheese, Nutmeg, Parmesan cheese and bone broth and let this simmer for approximately 16 to 17 minutes. Remove the meatballs from the oven when they are cooked. Now all you have to do is arrange to them on a serving dish and enjoy them with the sauce. This recipe makes about 16 servings as an appetizer if you make the meatballs smaller or if you make them larger you should be able to make about eight servings. And mix everything until it’s totally combined. You can add sliced almonds over top and then place in the freezer for 2 minutes. Then remove from the freezer and break apart. You can store this in the refrigerator. This chocolate and peanut butter bar recipe does have a lot of calories but it is super delicious and low in carbs. So just make sure that you are watching your portion size for this delicious peanut butter and chocolate treat. I hope you enjoy these recipes as much as I do. 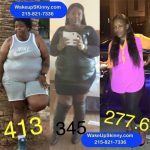 If you, your friends, family members or loved ones are looking to lose weight or improve your overall health and wellness I Invite you to call us and schedule your free consultation for everyone. We have lots of friends, family members, spouses and coworkers joining our weight-loss program together so they can get a head-start on their New Year resolutions for losing weight and improving their health and wellness. We even have many offices joining our program so when the new year comes they can kick off there biggest loser weight loss competition. If you would like to schedule your free weight loss consultation call 215-821-7336 and Lisa would be glad to schedule you all. Source: the ketogenic cookbook by jimmy moore and maria emmerich. This should definitely be part of your cooking library. This entry was posted in Medical Weight Loss in Philadelphia PA, Medical Weight Loss Philadelphia, weight loss philadelphia and tagged 39.9500° N 75.1667° W, diet pills Philadelphia, doctors prescribe phentermine Philadelphia, medical weight loss bucks county pa, medical weight loss doctors Philadelphia, Medical Weight Loss Philadelphia, phentermine in Philadelphia, philadelphia diet doctors, philadelphia weight loss doctors, vitamin B12 injections Philadelphia, weight loss philadelphia, weight loss pills philadelphia, weight loss programs Philadelphia on November 27, 2016 by Dr. Michael Kenny.